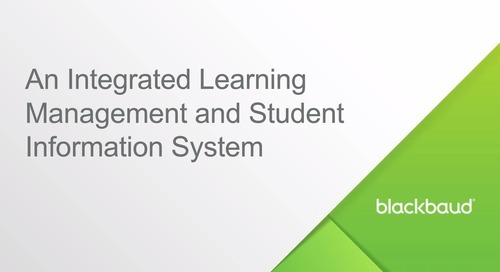 Did you know that the Bulletin Boards in Blackbaud K–12’s learning management system are an effective way to improve information access and cut paper and printing costs? Bulletin Boards provide teachers with a convenient location for posting general course information, such as the syllabus or helpful resources. This type of information has historically been printed out—or worse, not shared at all because there wasn’t an easy distribution method. We understand that many students are visual learners, so it’s important to note that a reduction in paper doesn’t mean fewer visuals—in fact, it can mean more! 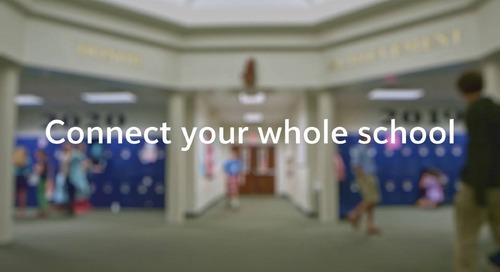 Bulletin Boards are a great way to showcase class visuals, such as photos, videos, and slideshow presentations—further reducing the paper footprint. 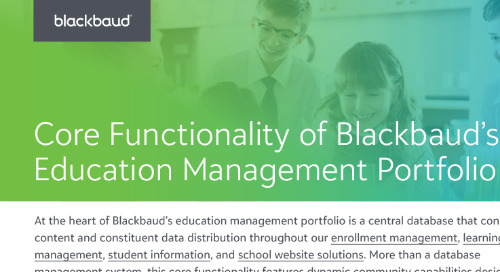 Download the document above to learn more about the time and paper-saving features of Blackbaud’s learning management system. Kathleen is a Customer Success Manager for the K-12 School Solutions Team and is based in Charleston, SC. 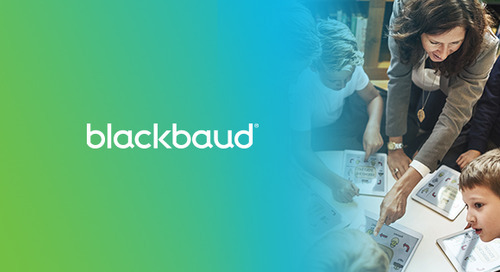 She has been at Blackbaud since 2002 and a member of the K-12 Team for over 14 years. Not only does Kathleen work daily with Independent schools, but she can also personally identify with our K-12 Community as an alumna, current parent, and school board president. Kathleen enjoys sharing her passion for education with our customers and loves having the opportunity to help them succeed at using our solutions to obtain their unique goals.